Remove the evaporative emission canister bracket fasteners (1). Disconnect the purge solenoid valve electrical connector (1). 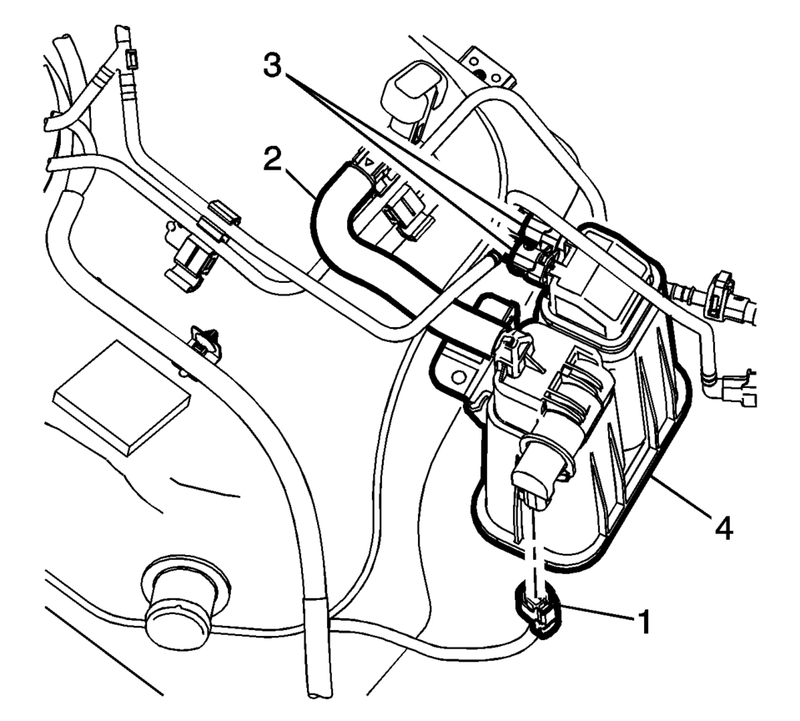 Disconnect the evaporative emission canister vent hose (2). Remove the evaporative emission canister (4). 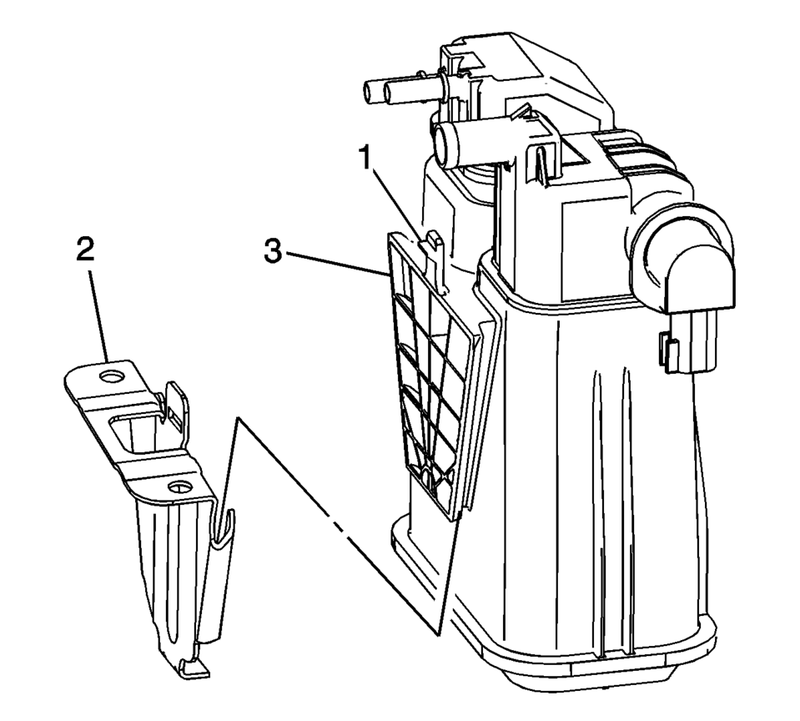 Release the retaining tab (1) and remove the evaporative emission canister (2). 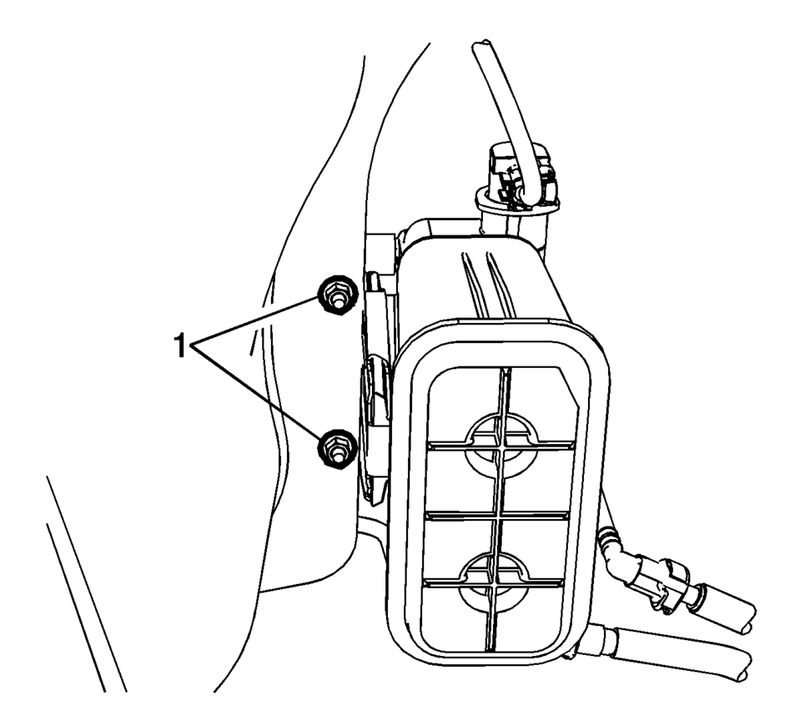 Slide the evaporative emission canister (3) into the evaporative emission canister bracket (2) until the retaining tab (1) snaps into position. Install the evaporative emission canister (4) into position. Connect the evaporative emission canister vent hose (2). Connect the purge solenoid valve electrical connector (1).